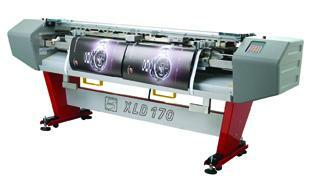 The XLD170WP is a special version of the XLD170 Digital Print Cutter designed to enable a perfect vertical cut. The machine is ideal for trimming multiple tiles of single images for side by side. It follows the image with an accuracy of 0.06 mm (0.002 in). The XLD170 cutters can handle most flexible media up to a maximum thickness of 0.8mm (32ml) including polycarbonate, photo paper, vinyl, self-adhesive vinyl, PVC, film, duratrans, TDF, canvas, laminated or encapsulated prints and much more. Interested in the Fotoba XLD170WP? Contact us to see how this Digital Cutter can help your business!